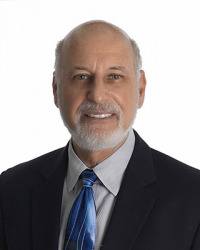 John Englander is an oceanographer, consultant, and leading expert on sea level rise. His broad marine science background coupled with explorations to Greenland and Antarctica allow him to see the big picture of sea level rise and its revolutionary impacts. He brings the diverse points of view of an industry scientist, entrepreneur, and CEO. For over thirty years, he has been a leader in the private and non-profit sectors, serving as CEO for The International SeaKeepers and The Cousteau Society. Englander’s acclaimed book, High Tide On Main Street: Rising Sea Level and the Coming Coastal Crisis, clearly explains the science, the impending devastating economic effects, and the opportunity to design for a more resilient future. Politico listed it as one of the top 50 books to read. John is a sought-after public speaker and media expert with appearances on MSNBC, Fox Business, ABC, CBS, PBS, The Weather Channel, CCTV (China), CBC (Canada), NPR, and SkyNews TV (UK). He is a Research Fellow at the Institute of Marine Sciences – UC Santa Cruz; a Fellow of the Institute of Marine Engineering, Science and Technology (IMarEST); a Fellow of the Explorers Club; and a member of several professional societies. Englander holds dual degrees in Geology and Economics.